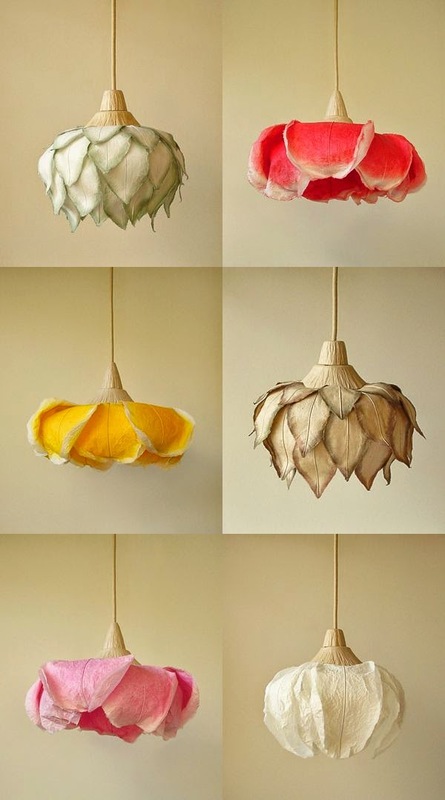 I usually don't love paper pendants, but these are so pretty and sculptural. They actually look like drying petals--the colors have a lot of depth. Wow! Love them! Need one!